Embark on a spiritual interlude with India. Candle-lit rituals on the River Ganges, palaces, forts and tombs, a riot of colour and vibrancy around every corner – your exploration of India’s Golden Triangle and centuries-old heritage takes you through the sandstone and marble halls of the Amber Fort, the pyramidal Palace of Winds and the exquisite Taj Mahal. Welcome to India. Upon arrival at Delhi airport, transfer to your hotel. This evening meet your fellow guests and Travel Director for a Welcome Reception with drinks and appetisers. Start the day with a unique tour by rickshaw around Old Delhi for a Cultural Insight. Drive past the impressive Red Fort, a UNESCO World Heritage Site considered to be the most opulent Fort and Palace of the Mughal Empire. Visit Jama Masjid the largest mosque in India and then stop at Chandni Chowk to discover the bustling and colourful market of the old city. Continue along the ceremonial avenue Rajpath and past the imposing India Gate and Parliament House. After lunch in a local restaurant venture into New Delhi and admire the architectural design of the buildings. Visit two UNESCO World Heritage Sites from Delhi’s past. Humayun’s Tomb Fort is one of the most magnificent Persian style tombs built in Delhi during the Mughal rule constructed out of red sandstone standing in the centre of gardens complete with pools linked by channels. Later visit Qutub Minar, a tower with five distinct storeys and which at approximately 75 metres is the tallest brick minaret in the world. Return to your hotel for an evening at leisure. This morning fly to the city of Varanasi; situated on the banks of the holy river Ganges, it is one of the most colourful places on earth and the centre of Hindu religion. On arrival transfer to your hotel and a little bit later escape the hustle and bustle of the city for a glimpse of rural life in India, a Cultural Insight. Walk through the village of Rameshwar where all activities are aimed at sustainable livelihood and community empowerment whilst ensuring the economic growth of the under-privileged. Observe local women making papad and pickles, doing embroidery or making saris which they sell to the local markets. Visit the Sanskrit school, where Sanskrit one of the oldest languages in the world is taught and in contrast the Shanti Dham Ashram a catholic prayer centre for the Christian society living in Varanasi. This evening enjoy a boat ride on the River Ganges to witness an Aarti ceremony, a very powerful and uplifting spiritual ritual that uses fire as an offering. It’s made in the form of a small ‘diya’ with a candle and flowers and a large number of these are floated down the river, a truly magical sight. Later return to your hotel for dinner and your overnight stay. 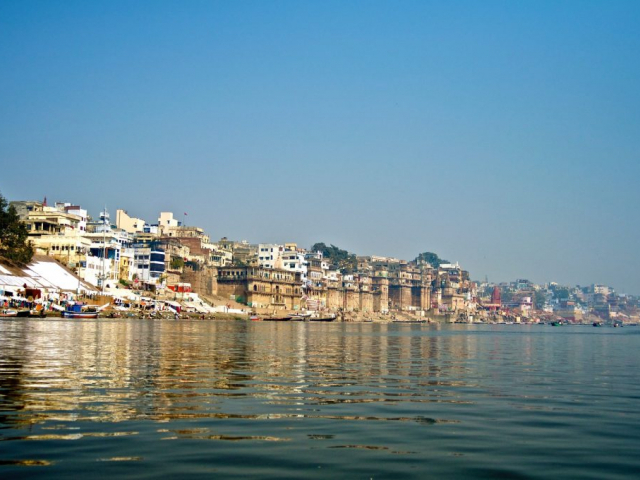 Early this morning enjoy a scenic sunrise boat trip on the holy River Ganges and see Varanasi slowly coming alive along the banks of the river. Observe the locals taking a morning bath in the holy water while worshipping the rising sun, a Cultural Insight. 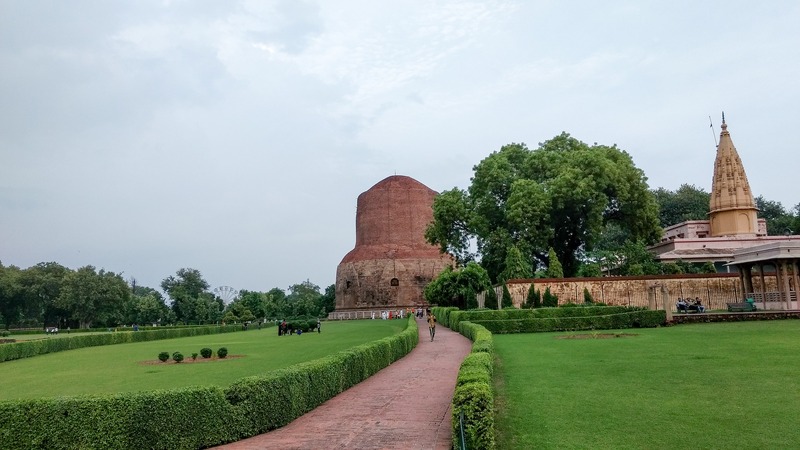 Return to your hotel for breakfast followed by a visit to Sarnath, one of the four holy Buddhist sites sanctioned by the Buddha himself for pilgrimage. 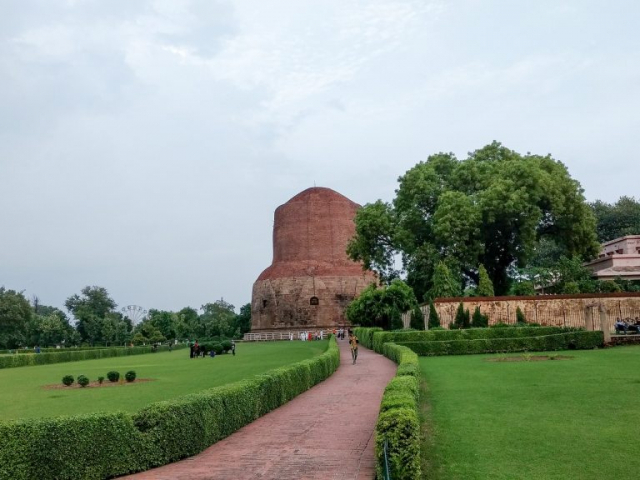 The Archaeological Museum at Sarnath is amongst the most important in India and contains more than 6,800 sculptures and artefacts from the 3rd century B.C. to the 12th century A.D. At the museum, admire the original lion’s heads from the Asoka Pillar, which form the symbol of the Indian republic. Return to your hotel for an afternoon and evening at leisure. After breakfast, transfer to the airport for the short domestic flight to Agra. 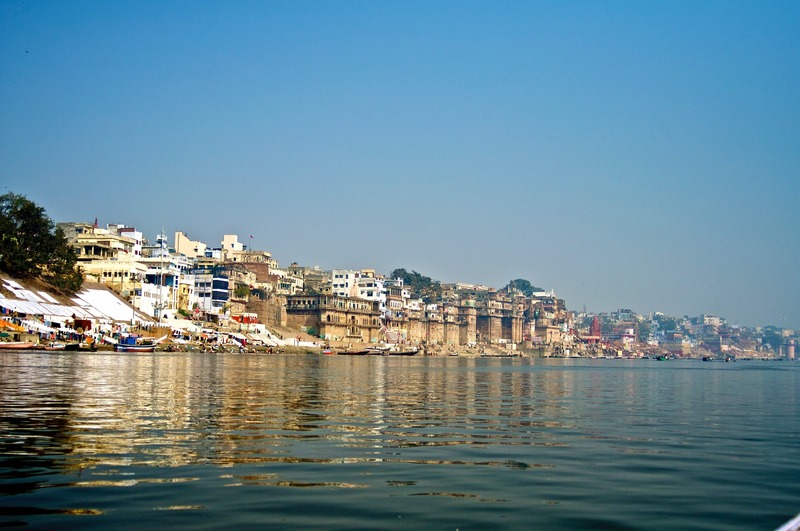 This splendid city played a significant role in shaping India’s history. Discover the heritage of architectural and cultural splendour of the Golden Age. This afternoon visit the impressive Agra Fort a UNESCO World Heritage Site which encompasses, within its 2.5-km-long enclosure walls, the imperial city of the Mughal rulers. Although largely overshadowed by the Taj Mahal, the Agra Fort is one of the finest Mughal forts in India and at one time the country was governed from within this powerful walled palatial city. As you drive through the city witness the local life, markets and hustle and bustle of everyday India. This evening dinner is at the hotel and perhaps choose to take part in an Optional Experience. Make an early start with a visit to the magnificent Taj Mahal, one the Seven Wonders of the World and a UNESCO World Heritage site. Admire the marble exterior reflecting rose and golden tints at sunrise which then turn to dazzling white. The construction of the Taj Mahal began in 1631 and it took 18 years and over 20,000 craftsmen to complete this monument in memory by an emperor for his beloved queen. Legend has it that once construction was completed, the emperor had the architects hands cut off, and blinded, so he would never be able to duplicate the structure anywhere else. 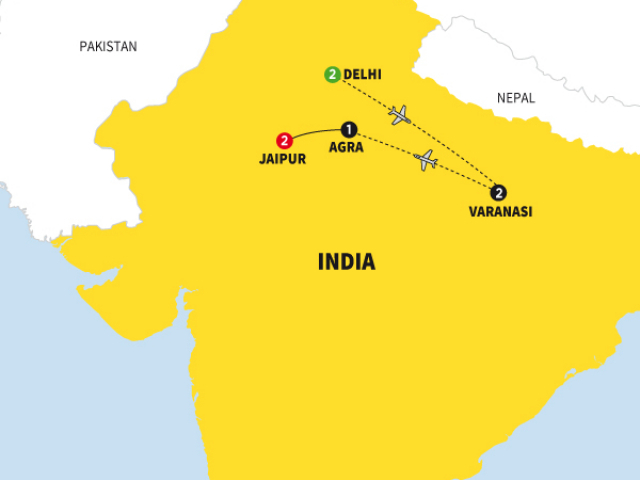 After the visit return to your hotel for breakfast and later this morning depart for Jaipur, the capital of the colourful state of Rajasthan. This evening enjoy a Be My Guest dinner with a local family in their home. This morning visit the inspiring Amber Fort with its marvellous Rajput architecture listed as a UNESCO World Heritage Site. The interior of the fort has various royal halls decorated with intricate ivory, mirror and glass work complemented by exquisite wall paintings. En route back to the hotel make a photo stop at the Hawa Mahal (Palace of Winds) – a five storied wonder with a spectacular pyramidal facade and overhanging windows with latticed screens, domes and spires. This afternoon continue your city tour with a visit to the City Palace Museum to see an imposing blend of traditional Rajasthani and Mughal Art. Across the road from the palace is the famous Jantar Mantar, a UNESCO World Heritage Site and one of five observatories in India. This astronomical observation site built in the early 18th century continues to provide accurate information to this day. Later this evening join your fellow guests and Travel Director for a farewell dinner at a local restaurant. 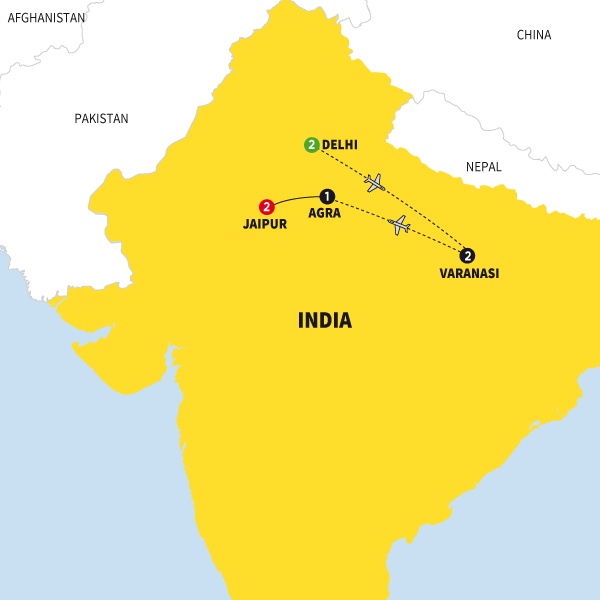 Transfer to Jaipur airport for your onward flight or choose to travel to Delhi by coach, departing at 10:00 and arriving to Delhi at approximately 16:30. The coach will drop off at Delhi International Airport and the Trafalgar post night airport hotel; the Pride Plaza.